In terms of flexibility, there is no better solution than a private jet. Instead of being as a traveler dependent on the flight schedule of an airline, a chartered jet will adapt to your own schedule. This increases your efficiency, especially on routes to destinations that are not approached that often. Instead of having to travel somewhere on the evening before an appointment and stay at a hotel (as there is no early-morning flight), you are able to fly to your destination on the day of the meeting and arrive there relaxed and well-rested. A private jet offers additional flexibility, because it will wait for you – even if the meeting takes longer or other things do not go as expected. When chartering a private jet, you enjoy privacy and peace. There are no other passengers travelling with you (except for the ones you chose to accompany you). This ensures an atmosphere in which you are able to relax or prepare for and post-process your meetings. Enough legroom and a catering that is adjusted to your preferences offer additional comfort. Anyone who spends a lot of time on planes can attest to the low quality of food and service. 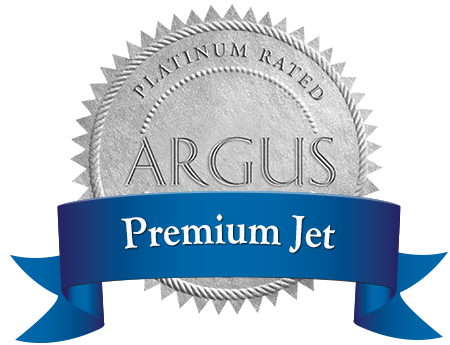 On a private jet, catering is adjusted to any religious, medical and/or gustatory obligations. For longer flights you can even charter private jets that are equipped with night configurations for beds. In the overview of our fleet, you can look at the floor plans for both day and night configurations. There are two things which turn flying into a time-consuming business. First, the long waiting periods during check-in at departure airports and at the baggage pickup at your destinations and second, the time for stopovers if there are no direct flights to your destination. With a chartered jet, you can avoid both. You only have to be at the airport shortly before takeoff, you and your luggage will be quickly checked and then you are ready for departure. Stopovers are mostly omitted as you can directly travel to almost every airport. If your destination is not in the vicinity of a major airport, there is yet another point. Scheduled flights usually only let you fly to larger airports, from which you then have to travel further via helicopter, limousine, taxi or train. The more agile private jets are able to fly to smaller airports that are closer to the actual destination. Further transport on the ground is thus reduced to a minimum. As all your luggage is on your jet, you neither have to wait at the baggage claim, nor is there a chance of something going amiss. If you have ever been in the situation that your own baggage was sent to the US while you were on your way to a meeting in Paris, you know how important it is to always have your luggage right there with you. The advantages that are stated here are some of the most important when it comes to chartering a private jet. There are several other advantages, such as safety, less stress and a higher level of productivity. Aside from all these rational arguments, there is also one that is often forgotten: more time four your private life. Especially managers who travel a lot are not able to see their friends and family as often as they would like to. With a time-saving charter flight, there will be more time for your private life, and you will be better rested when you come home from a business trip. The remaining time can thus be enjoyed a lot more. Of course, all these advantages come at a price. However, under certain circumstances, charter flights can keep up with scheduled flights in terms of price. Consult us now for a consultation!